Eleanor is an undergraduate student studying English Literature at university in England. She is an aspiring editor and author, with dreams of using her skills to help save the planet. The highly anticipated Throne of Glass finale does not disappoint – a worthy conclusion to an epic series. Six years in the making, the Throne of Glass series has finally come to an end, with a beautiful final look at all those characters we have come to know and love. With Aelin imprisoned, her friends must go on without her. Some bonds will deepen, while others will be severed forever. But as destinies weave together at last, all must unite as Aelin fights to save herself – and the promise of a better world. 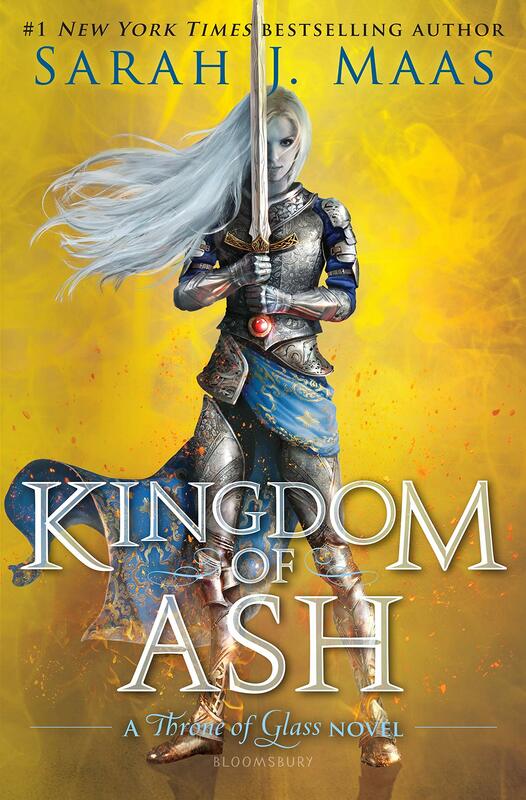 Kingdom of Ash is something we readers have been waiting for for an awfully long time – a lot has happened since we last saw Aelin in Empire of Storms, with Tower of Dawn pushing back the finale’s release date (a more than worthy reason). Locked in that iron coffin, we have all been wondering how she could possibly escape. And now here it is – the conclusion, the final battle. Opening Kingdom of Ash was like coming home – with Sarah J. Maas’ familiar writing style welcoming me with open arms. It was a simple thing to become completely absorbed in the 980-page tome. I completely devoured this novel, as I expected. I will not pretend the writing is flawless, but Maas can certainly captivate a mind. The thing that has always struck me about this series is the decadent descriptions. Rolling hills and luxurious cities – many turned to rubble during Erilea’s hardship – all come alive in my mind. They leave me awestruck with their incredible detail and vividity. The amount of work that has gone into the world-building of Throne of Glass is evident, and has never diminished. It is difficult to say goodbye to – it has been a pleasure to delve into Erilea and beyond over these past years. One slight disappointment of Kingdom of Ash was that I thought a lot of the characters began to feel the same. The novel contains a huge variety of perspectives – not just Aelin, Chaol, and Dorian, but Manon, Elide, Nesryn – and more. But the differences in the character’s voices seemed less pronounced than they had in earlier books, and I felt them beginning to blend. Having said this, the emotional impact was the same as always. I don’t know how Maas does it, but her ability to get you to empathise with the characters, to really feel their pain and their joy, is something that has amazed me from the beginning. And even as an outsider looking in, her writing affects me. I felt pride for these characters – like friends I have known for years, I have seen them struggle and battle over and over again, and to read their final journey together was incredibly heartwarming. The book is not flawless, but it is undoubtedly a wonderful read. I will not dwell on the could-have-beens, because Maas has produced an epic series, has pulled off something many would not dare to try. Kingdom of Ash was a whirlwind of emotion and gave me everything I could have asked for. I will always look back on this series with a smile on my face. If you are a particular fan of Sarah J. Maas’ work, you may have noticed a little treat on page 800. I certainly wasn’t disappointed. The eight books of the Throne of Glass series are a big commitment, but they are worth it. If you haven’t read the series, or haven’t yet picked up the finale, then I urge you to do so. Revel in the beautiful writing, the heart-in-the-mouth moments, and join the ever-growing community. The Throne of Glass series has been a favourite of mine for years, and although I am sad to say goodbye, I have enjoyed every moment of it. Despite the flaws, I will continue to praise it. I have based my overall rating not just on the technicalities of the novel, but on my enjoyment of it. Some things could have been better, but this does not change how utterly I loved Kingdom of Ash.